Erica is developing a stem cell-based test to identify chemicals found in drugs, household products and industrial chemicals that can cause birth defects if the mother is exposed during early stages of her pregnancy. Accurate identification and understanding of these teratogens could help reduce the number of children born with preventable birth defects. The Parker School alumna has published twice in Toxicological Sciences. 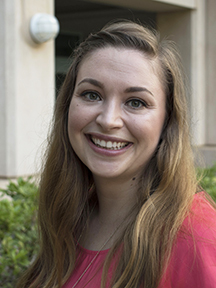 She plans to work as a physician and translational researcher in oncology, serving rural residents with cancer therapies that are more effective and have fewer debilitating side effects. Her many and varied interests include archery, bowhunting, skateboarding, body surfing, paddling, dancing, crafts, dog training, and car repair. Will studies brown dwarfs, astronomical objects that are more massive than planets but less massive than stars. By accurately measuring the demographics of brown dwarfs near our Solar System, he will help determine how they form and evolve and what role they play in our Galaxy. 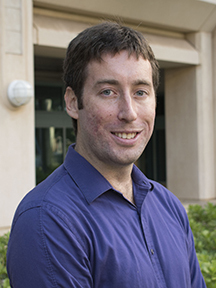 He has won two Friends of the IfA research awards and published three first-author papers in the Astrophysical Journal. A former high school teacher who aspires to a professorial position, Will enjoys hiking, singing, playing guitar, travel and the company of his wife, Vivian, and their 2-year-old daughter. Richard uses genetic technology to track heavily fished manini, or convict tang, from the reef where they are produced as larva. The information will provide critical data for management strategies that ensure longterm sustainability and food security for island populations who depend on nearshore fishing for recreation and subsistence. Richard is a National Oceanographic and Atmospheric Administration (NOAA) Nancy Foster Scholar and recipient of the National Science Foundation (NSF) Graduate Research Fellowship. His published work includes a study of regal angelfish that suggests the Red Sea became isolated during glacial cycles. Richard hopes to secure a faculty position in academia. He enjoys hiking, scuba diving and cooking. Chao focuses on microwave and radio frequency theory and design. 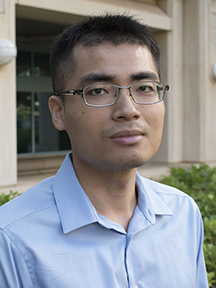 He is part of group developing a high performance, low cost antenna array system that concentrates the wireless communication signal to the direction of the communication nodes in order to provide longer range coverage, better power efficiency and security and has designed and fabricated long-slot and stacked patch antenna arrays. He also shares a patent for a microwave-based stethoscope. Chao is a graduate of Roosevelt High School. He will use his ARCS award to help pay for textbooks and conference travel expenses. In his down time, he enjoys chess and badminton. Haunani studies a past sea level event known as the mid-Holocene highstand to improve understanding of the potential impacts of future near-term sea-level change. 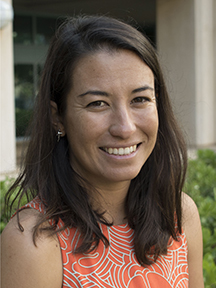 She analyzes subsurface sediment from the coastal environment to reconstruct the timing and magnitude of an island’s response to sea-level change. The findings may be related to the early human migration and occupational histories, as well as modern and future societal implications associated with living along the coast. She plans to pursue an academic career that blend western and indigenous values in teaching and provides data for local adaptive strategies to deal with sea-level change. 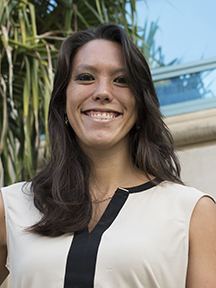 A crew member and science-at-sea coordinator for the Polynesian Voyaging Society, she enjoys ocean sports and stewardship. Brad has used population genetics to identify invasion pathways by which the destructive Coconut Rhinoceros Beetle spreads through the Pacific and will use genetic metabarcoding to identify the diet and density of arthropods on Mauna Kea to understand the food webs and ecological networks involving native insects. He won best student talk at the International Congress of Entomology last year and received a Trellis Foundation fellowship to work on fruit fly suppression in Uganda. In the future, he hopes to garner public appreciation for insects as a museum curator or educator or through ecological monitoring and outreach. Curlee describes the research this way: “By using some new ‘mathematical machines’ we may be able to answer a question that has eluded many researchers for over the past 30 years. 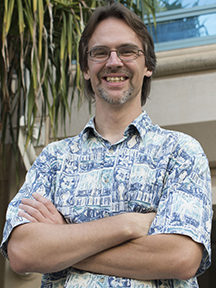 These ‘machines’ are at the forefront of new research by many of today’s top mathematicians, including UH Mānoa’s Rufus Willett and UH Hilo’s Efren Ruiz.” (Officially, he uses groupoid C*-algebras in an attempt to determine if the property of rapid decay is invariant under quasi-isometry.) The Salt Lake City native exudes an infectious enthusiasm for mathematics. He receives “awesomes” on Rate My Professor for his teaching ability and use of humor in undergraduate mathematics courses. He enjoys surfing, hiking, playing guitar, carpentry and gardening. Eddies are important mechanisms for transport and mixing in the ocean. Seth studies eddy activity in the South Pacific and how it is changing over long time scales. 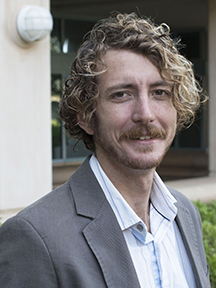 He is lead author on a 2017 paper about decadal variability in the South Pacific subtropical countercurrent and eddy activity published in the Journal of Physical Oceanography. He will use his ARCS award to fund travel for collaboration. 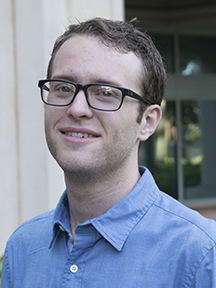 Seth's goal is to contribute to environmental and climate research. He enjoys hiking, travel and dancing. Rachael uses a species of sea slug as a sampling tool to study a group of tiny, hard-to-identify green algae (limu). Algal chloroplasts that are maintained by the slugs while feeding can be identified using modern molecular techniques. Rachel discovered that the sea slug is the only documented herbivore of the invasive green alga Avrainvillea, also known as leather mudweed. Her discovery may be key to better understanding this highly weedy and invasive alga and its management in Hawai‘i. She has been recognized by the Phycological Society of America outstanding student research presentation award and a USGS STARR Award. She enjoys hiking, snorkeling, CrossFit and cooking. 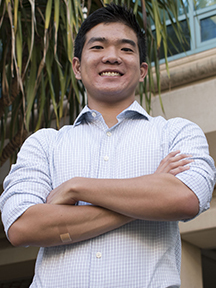 Brennan was a Pacific Asian Center for Entrepreneurship (PACE) Breakthrough Innovation Challenge finalist for his idea of a “Greenboard” keyboard that uses vibration energy harvested from mechanical oscillations. He also explores manufacturing by 3D printing and the use of unmanned systems in unstructured environments. 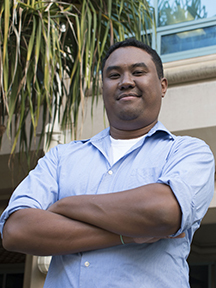 The Moanalua High School graduate is technology director for Sozo, a consumer electronics products and technologies startup. He is also the graduate advisor for a team of undergraduates working on autonomous marine robotics. Brennan enjoys computers, video games, virtual reality, tech gizmos, cars, photography, longboarding and fishing.